In almost all disciplines of art, designing comes down to the composition. This does not exclude gardening. Whether you use form, colour, texture, line, and mass as a guide or not, the principles do not change. 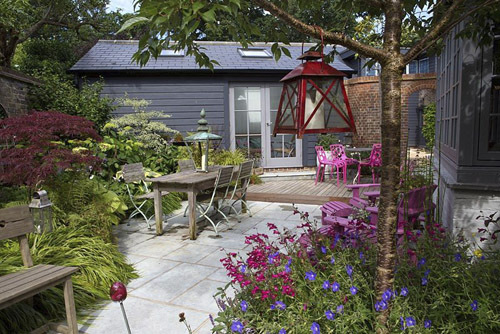 Are you planning to design a garden and is it your first time? Maybe you’re laying a gravel path or deciding if you should put a water fountain as a centrepiece? 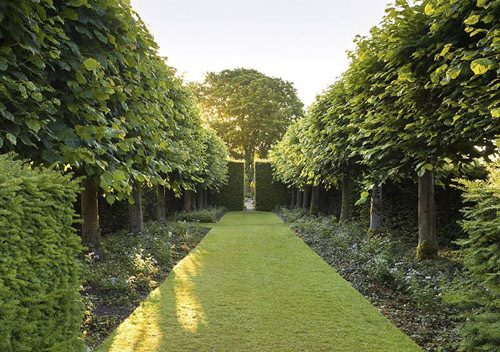 Even if you are a total beginner, do not fret as in this article, we will outline the four key elements to designing a garden to guide you through the entire process. The shapes of the objects in the entire area are the focal point of this element. Everything has a shape or form; from plants (pyramidal to vase-like or spreading or flat) and walkways to the rectilinear shape of your house. This is especially true when plants are grouped. They take on a new form. Always consider this when you first draw the blueprint to a garden. Better yet, before you finalise a design, visualise it in your head. It helps to have a clear vision of the end goal. To help you do this, list down all the things that must be in your garden; such as a plant you’ve been growing for months or a water fountain that should stand in the middle of a walkway. Once you have completed the list, think about if all of it will fit into the garden. If the answer is yes, think about if it will be too messy and chaotic. The overall form of the landscape is what brings out its personality. Consequently, this is also the defining factor on what someone would feel upon entering the garden. 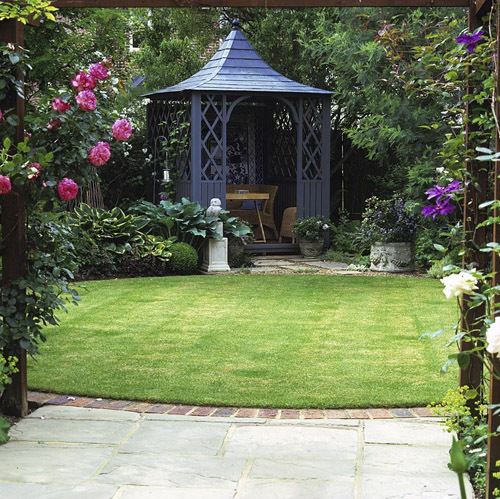 Take advantage of this information when designing a garden. In the end, the design should be about a theme. Do you want a child-friendly garden? Fill it with many circles rather than triangles. Are you expecting businessmen and investors to come to the garden often? 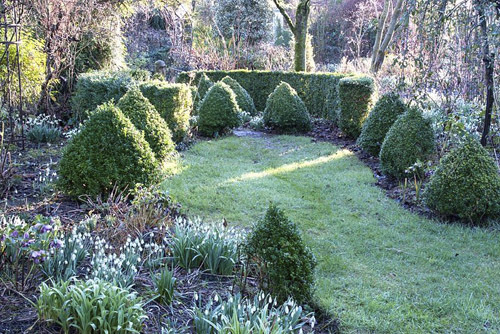 Maybe designing the garden around triangles and rectilinear shapes would be best. The Line element is the eye’s guide. It tells people where to look and what to look at. Commanding attention is Line’s speciality. From these sentences alone, you can already understand how vital a role it plays in the overall landscape of your garden. It helps everything flow and creates a coherent understanding of the area in the viewer’s mind. If you have a tight space, create a vertical line as this directs the eyes upward, making things look more extensive than they actually are. On the other hand, definite horizontal lines are capable of making the space look broader. Also, as with the Form element, different types of lines elicit different emotions. Curved lines are more welcoming and inviting while straight lines speak of sturdiness and structure. Keep this information handy when designing the walkways, garden decorations, patios, fences, and garden beds. The best way to look at Mass is that it is the area occupied by an object/s. These are structures. These are the houses, patios, tall or short water fountain, and garden beds. What is to be looked at here is the empty spaces and the filled spaces of your garden. Striking a balance between having a garden that is overfilled (chaotic) or underfilled (minimalist or empty) is the game. You may make things symmetrical. Example: placing a garden bed with the same length as the adjacent pathway may create symmetry and balance. The Void is the element you can play around with. Some may even say that this is the element that creates itself after giving much attention to the rest. By Merriam-Webster’s definition, the Void is ‘the quality or state of being without something: lack, absence, containing nothing.’ However, what do you do with nothingness? Do you ignore it and let it fill or create itself? While that is a plausible option, you can also manipulate it yourself. Remember, all elements obey the creator; not the other way around. A lot of empty spaces also create visual Mass. By being nothing together, they become one entity, one element. Thus, keep this in mind when you’re designing your garden. Strike a balance between physical mass and visual mass. At the beginning of your blueprint, you may intentionally create a void. Physical Mass, the one mentioned prior, can be a nuisance, whereas Visual Mass can be a breath of fresh air. When you’re designing garden beds, for example, purposely spacing them inches apart creates a different visual appeal than when they are directly stuck together in a heap. Balance is achieved when all four elements find its place in the garden. They must have coherence; but most importantly, they must have synchronicity and harmony. The challenge is that the elements have to coexist with the others like an unbreakable bond. One must not fall out of the pack. After all, can you imagine a garden without Void? Essentially, designing a garden is a practice in being a creator. This is why designing a garden is also considered as art. Your paintbrush is your hands and materials, and the canvas is your land. Manipulate all four elements as you please and try to create the type of harmony that can extend from your garden to your mind. There are also other design elements to watch out for. 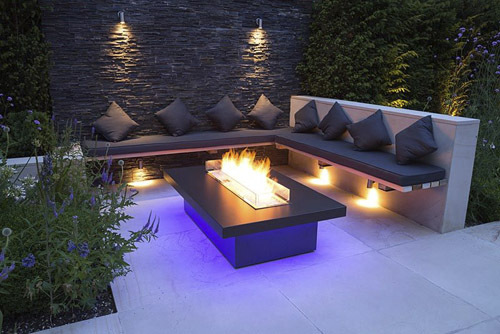 Some of which are location, sunlight and lighting, boundaries, plant design, garden furniture, surfaces, and soil. However, all these other elements fall under one or more of the four key elements. This entry was posted in Expert advice on March 18, 2019 by gapadmin.